In your hands, we put the fifth issue of Smile Magazine, the dental journal that has grown by your appreciation, encouragement and participation. In this issue we presented a number of articles reviewed by our respected and reputable review board specialists. 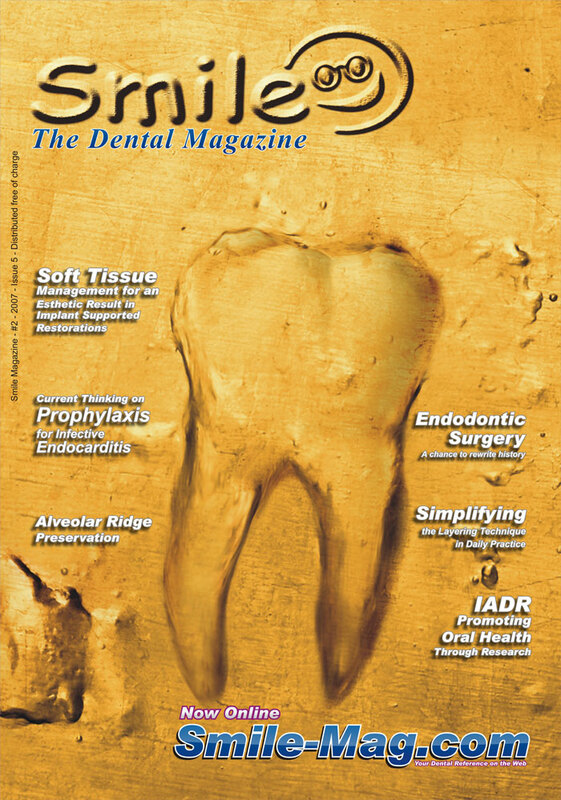 In this issue, a variety of topics were discussed; Soft tissue management for an esthetic result in implant supported restorations and alveolar bone preservation after extraction in preparation for placement of an implant. Also, the layering technique is simplified in one of the articles. A brief presentation of endodontic surgery’s tools, indications and contraindications is included. Moreover, the new recommendations of infective endocarditis prophylaxis are explained. We hope that this issue would provide an insight on the topics discussed, and we certainly hope that this issue motivated you to take part in writing an article to be published in Smile.